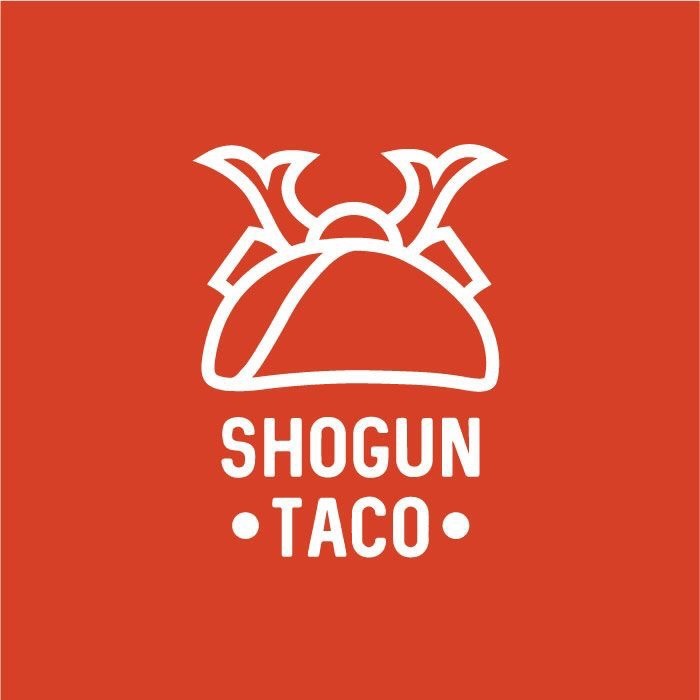 What is Shogun Taco? 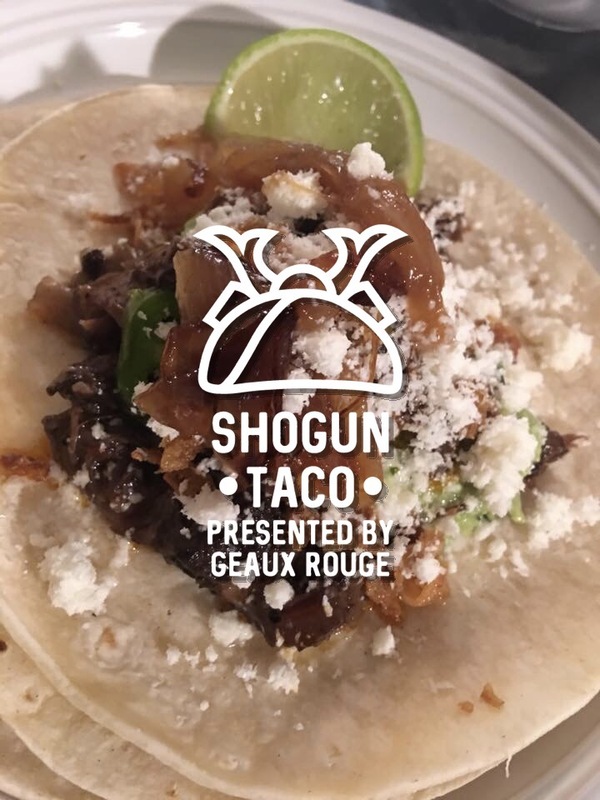 The Shogun Taco is a Geaux Rouge digital virtual restaurant that provides a vehicle for the Baton Rouge community to come together “around the table” for a creative culinary experience and discussion of issues facing Baton Rouge. What better way to come together than around the dinner table over some innovative and creative taco dishes? We will invite guests to attend the dinner and they will discuss various topics, from the culinary scene, business, culture, issues facing our city, and anything else that can be shared around the table. Everything is fair game for discussion. The discussion and meal will be filmed and posted. Each episode will have a different chef and venue and will try to explore the Baton Rouge community. How does it work? Geaux Rouge will film an episode once a month. We will use a different chef each episode and ask that they prepare an unique, creative, innovative, and delicious taco for our guests. The guests will enjoy the taco and discuss its creative origins, tastes, and flavors. Guests will also discuss Baton Rouge. We believe the best way to bring people together is around the table and with great food. That’s the goal! Sort of like a “coffee house” discussion around a “rouge table.” We want to make it interactive, honest, and informative. Why a Taco? Why a taco? Why not!? We believe that a taco is an open canvas of creativity. It’s open yet compact. It’s meant to be eaten with your hands. It’s reasonably priced. In essence, its the perfect vehicle for affordable yet amazing experiences! 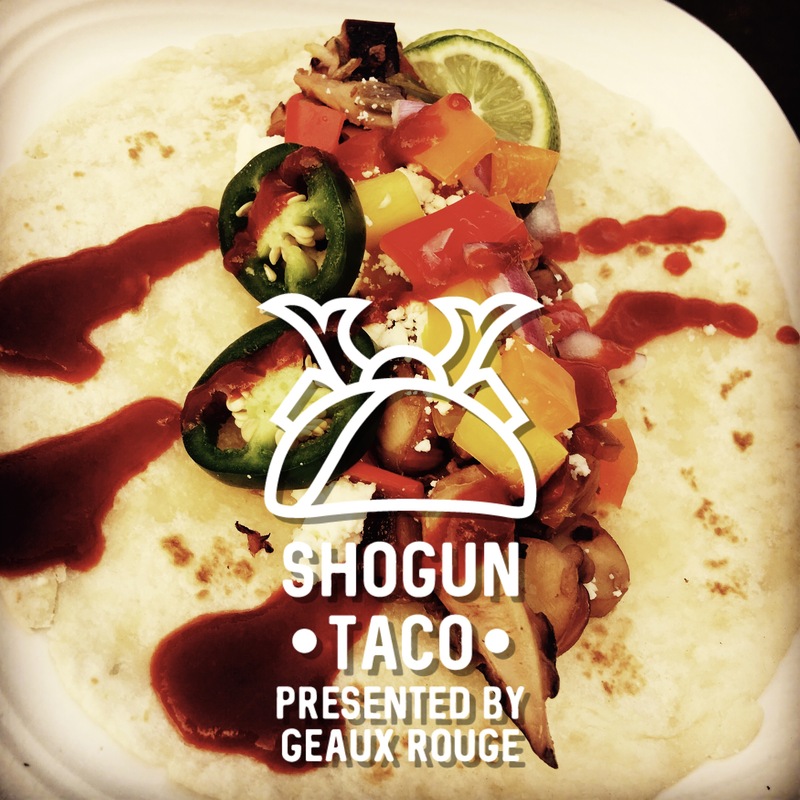 And we believe this is The Baton Rouge Age of Tacos! How can you be involved? 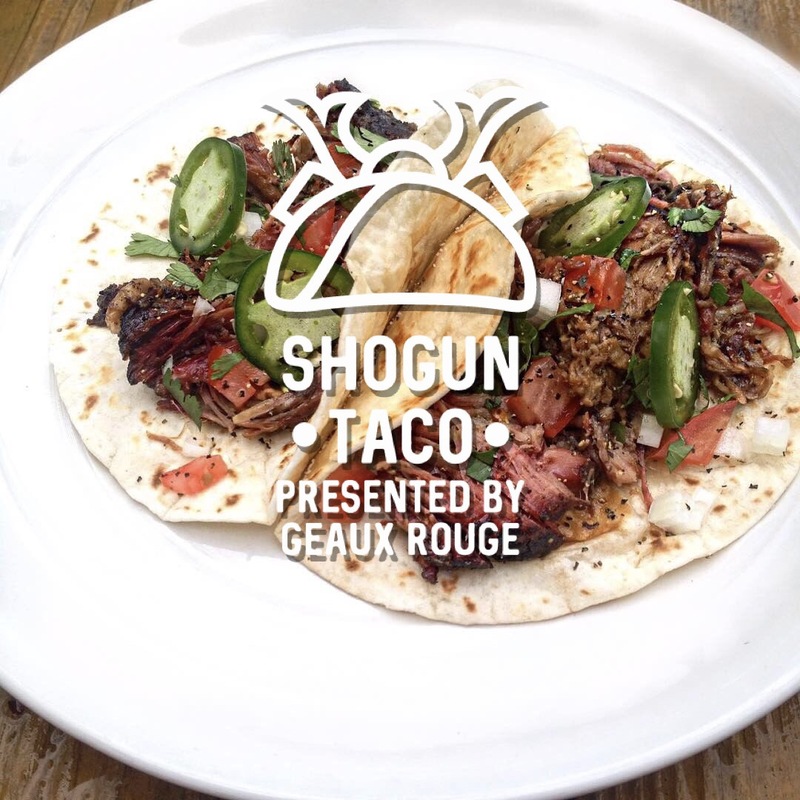 Geaux Rouge is looking for chefs and venues to film our episodes. Interested in hosting and being a featured chef? We are also looking for sponsors to help defray costs of production. 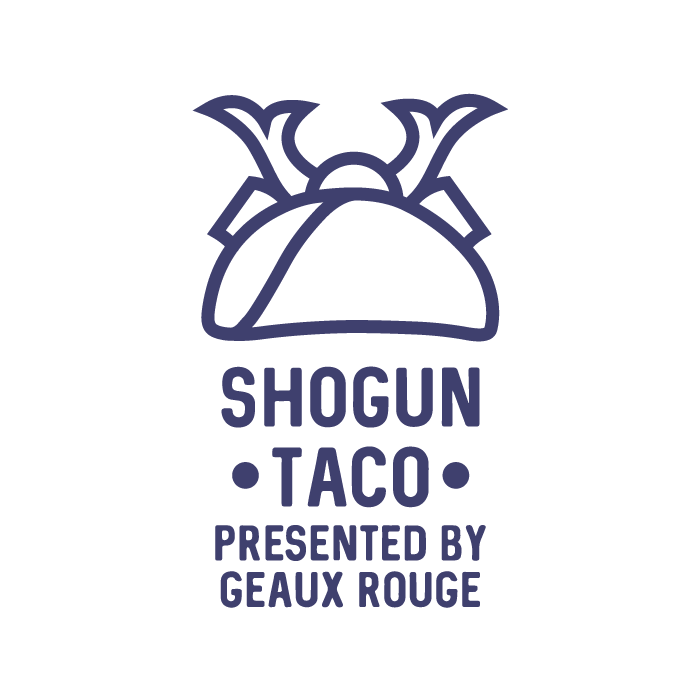 If you are interested in investing in The Shogun Taco Project or being a host of an episode, please email us at brgeauxrouge@gmail.com.